Harvesting herbs for tea is the simplest way to make use of medicinal plants, but for more potent medicine, botanical extracts are a better choice. Harvesting herbs for tea is the simplest way to make use of medicinal plants, but for more potent medicine, botanical extracts (commonly referred to as tinctures) are a better choice. Besides the herbs, you need little more than a Mason jar, dropper bottles, and some high-proof liquor (we recommend 100-proof vodka). Infusing plants in boiling water can extract some of the medicinal compounds, but to get all the good stuff, you need a more powerful solvent: namely, alcohol. Alcohol also preserves the medicinal compounds for 5 years or more. Before you start thinking that you’re going to feel better after taking tinctures just because of the alcohol content, rather than the medicinal action of the herbs, realize that the typical tincture dosage is equivalent to roughly one-hundredth of a shot of booze. Nobody gets drunk from using tinctures, but they are a time-tested way to keep the cold and flu bugs away, and are effective in treating a variety of other ailments. A one-ounce tincture costs anywhere from $10 to $20 or more in a store, but you can make a lifetime supply of your own with a few dollar’s worth of alcohol. Note: Some herbs can cause adverse reactions, especially in larger doses. Never use herbs that you are unfamiliar with without first consulting a qualified herbalist or medical professional. Children, pregnant and nursing women, and individuals taking prescription medication should consult with a health professional before taking any herbal product. Click on the name of each herb for more information on the symptoms it treats best. Found in the wild in many parts of North America and occasionally planted in gardens. Primarily the berries are used. Also known as coneflower, this plant is native to central and eastern North America and is commonly planted in flower gardens. Only the roots are used. A common garden plant used as a spicy condiment. Only the roots are used. Grows primarily in woodlands in the northeastern US. The rhizomes are used for medicinal purposes. A common garden plant related to mint. Use the fresh leaves near the top of the plant. A common garden plant used as a culinary herb. Use the fresh leaves near the top of the plant. Found in the wild throughout North America and commonly grown as a garden plant. Use the leaves and freshly opened flowers. 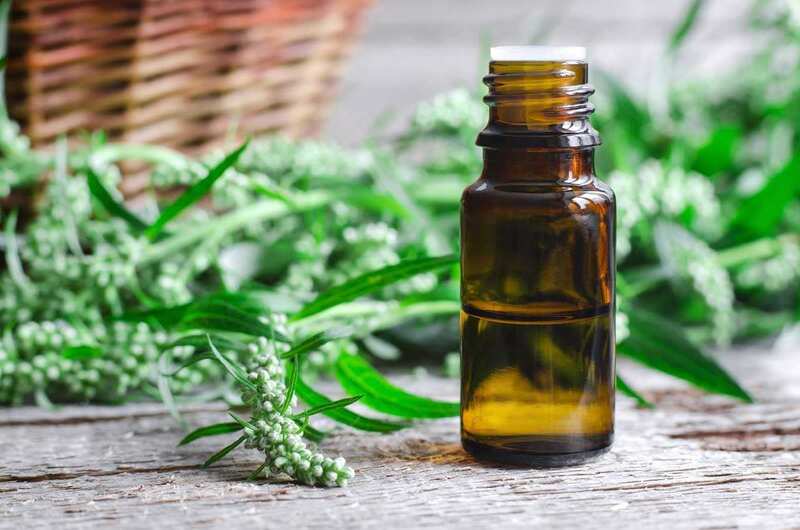 Next time you’re in a natural foods store or other establishment with a large selection of tinctures, take a look at the names on the shelf – you may be shocked at how many come from plants that you can find in your neighborhood. Dandelion, yellow dock, cleavers, nettles, chickweed, and plantain are but a few of the common weeds that are used in tinctures. In your garden, you may have mint, thyme, artichokes, cayenne peppers, comfrey, garlic, raspberry leaf, and rosemary, all of which are commonly, too. Common flowering plants to tincture include echinacea (also known as coneflower), yarrow, bee balm, passion flower, and red clover. Many common shrubs and trees yield medicinal compounds as well, such as gingko, white willow, vitex, hawthorn, and black walnut. If you venture into nearby natural areas, you may have access to ginseng, black cohosh, goldenseal, sarsaparilla, saw palmetto, and scores of other medicinal plants. Only harvest plants that you can identify with 100-percent confidence. Numerous plants commonly found in backyards, parks, and natural areas are lethal, or will cause great discomfort, if ingested in tincture form. Take a class on medicinal plant identification in your area if you are a beginner. Only certain parts of each plant are suitable for medicinal use. Occasionally the entire plant may be used, but in most cases it’s either the root, the leaves, the flowers, or the bark that is recommended for use. In some cases, using the wrong part can have grave consequences. (For example, yew berries are edible, but the rest of the plant is lethally toxic, including the small seed inside the berry). Never harvest plants if you have any reason to believe they could have been exposed to pesticides or herbicides (which are commonly used on public land in urban areas). Never harvest plants from private property without asking permission. Harvesting from protected natural areas is often prohibited, so check with the appropriate authorities first. The safest places to harvest medicinal plants are from your own backyard or natural areas. It’s also important to note that the ornamental varieties of medicinal plants found in most nurseries may not have the same concentration of medicinal compounds as their wild relatives. Yarrow, for example, has been bred into many colorful varieties, but it’s best to avoid those and stick with the plain white yarrow for medicinal purposes. If you are unable to find the plants that you want to tincture, you can always purchase dried herbs in bulk from a natural foods store, herb shop, or online supplier. Identifying a suitable source of plant material is sometimes a little tricky, but tincturing is easy. The ratio of alcohol to herbs varies depending on whether you are using fresh herbs or dried herbs. Use 100-proof vodka for best results. Chop the plant material into chunks that are a half-inch in size or smaller. For roots and barks, it’s best to chop up the material as fine as possible. Other than roots that are caked with soil, there is no need to clean the herbs; you will only wash off the aromatic oils. Weigh the herbs. Multiply the weight of the herbs (in ounces) by two if you’re using fresh herbs, or by five if you’re using dried herbs. Add this quantity of alcohol (in fluid ounces) to a Mason jar and then add the herbs. The plant material should be completely covered by the alcohol. Screw the lids onto the jars, shake them vigorously for a few seconds, and leave them in a cool dark place for at least two weeks. Try to shake the jars once a day. Open the jars and pour the tincture through cheesecloth into another container to strain out the herbs. Fill glass dropper bottles (use the ones with dark, amber-colored glass so UV rays don’t degrade the product over time, which are often sold in herb shops) using a tiny funnel. Label the jars with the name of the herb and date. Fifteen to 30 drops taken 3 times a day is a typical dosage rate, but it’s always best to consult with an herbal remedy reference book for advice on using specific herbs.